TOYO INK EUROPE is 76 years young and most innovative printing ink manufacturing company from Belgium, the heartland of Europe. 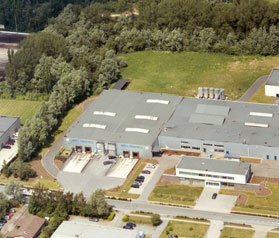 TOYO INK Europe is a wholly owned subsidiary of TOYO INK GROUP, one of the largest and undisputed leaders in the field Printing Ink and Chemicals business in the world. Toyo Ink Europe has been growing rapidly in the global market of printing inks with its core competence in the globally emerging market of Energy Curable inks and coatings. Over the years, Toyo Ink Europe has acquired a commendable position in the industry with its state of the art manufacturing and research facility in Belgium for UV & EB curable Inks and Coatings. Toyo Ink Europe upholds its reputation of being a global UV & EB specialist by offering a wide array of products and services to the diverse application of UV & EB from Packaging to Labels to Newspaper printing. On another front, towards the globally growing demand of safe inks and coatings for primary food packaging Toyo Ink Europe has been immensely active and takes the leadership position in offering a complete solution for safe food packaging with a wide range of Low Migration UV and EB inks and coatings supporting the regulatory demands of SWISS ORDINANCE and other European regulatory frameworks. 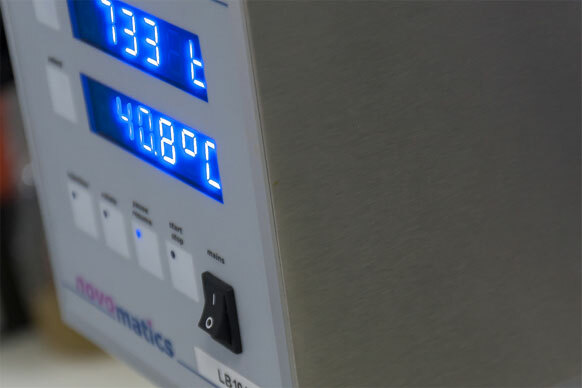 The technical team at Toyo Ink Europe is deeply involved and associated with several European organizations that promote safe inks for Food Packaging. Many years of such involvement and servicing with the European food packaging industry has enriched Toyo Ink Europe members with tremendous knowledge to not only offer the correct UV chemistry for food packaging but also advice on the whole system available to our customers. Toyo Ink Group, being the principal company, enhances Toyo Ink Europe with rich technological platform of the product chemistry and synergizes the vision to offer science solutions to global customers. The huge sales and service support network of Toyo Ink Group brings not only the Toyo Ink Europe Products and knowledge but also professional product and quality management to your doorstep. 1938: Company ‘Drukinkten Arets’ is established by Jos Arets as a trading company of printing inks from Farbianca Holland. Located in the Sint Thomasstraat Antwerp. 1953: ‘Drukinkten Arets’ moved to the Bredestraat in Antwerp and started its own production of oil based inks. A collaboration with Jänecke and Schneemann Germany to produce under their license was set up. 1962: ‘Drukinkten Arets BVBA ’ moved to the Boomsesteenweg in Wilrijk. Shareholders: Mss. A. Arets and Frau. I. Tiemann (sister F. Jänecke). 1974: First production of UV ink by ‘Drukinkten Arets BVBA’. 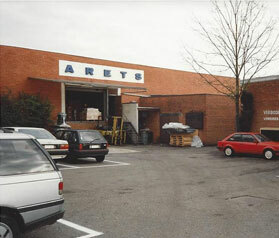 1989: ‘Drukinkten Arets BVBA’ changed its name to Arets Graphics N.V. Shareholders: Jänecke and Schneemann GMBH Hannover and L. Dehandschutter. Arets Graphics expanded its international network as a supplier of printing inks. 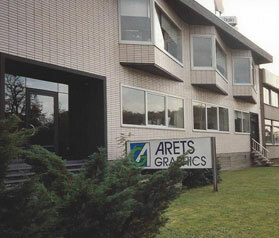 1990-1995: Arets Graphics expanded its international sales network by trading graphical products like plates, films, blankets, foils, pens, etc and selling self produced offset conventional and UV inks and all kind of press chemistry. 1995: Building and inauguration of new Warehouse finished goods in NIEL. 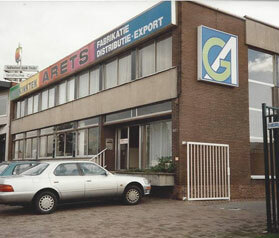 1998: Moving from Wilrijk to Industrial park in Niel. Building and inauguration of new Administration building, laboratory and production plant in NIEL. 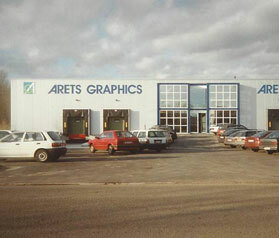 1999: Arets Graphics N.V. became member of Next Group. 2000: Focus on radiation curing business, mainly UV curing inks and varnishes. 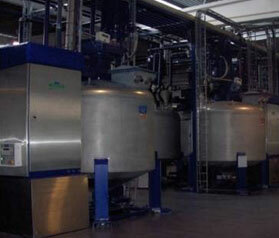 2001: Installation of 4 UV inks production lines with Bead Mills (batch size max. 1800 kg). 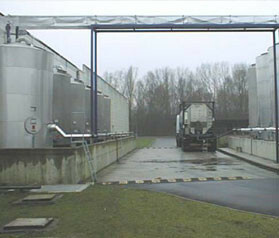 2002-2003: Installation of first storage tanks for UV raw materials. First 10 tons mixing reactor for UV varnishes installed. 2004: Expansion of the laboratory. Installation of 5 new storage tanks for raw materials of 27.000 litres. 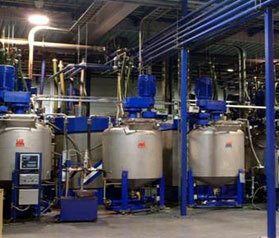 2005: Installation of 4 extra UV inks production lines with Bead Mills (batch size max. 4000 kg). 2006: Installation of the second 10 tons mixing reactor for UV varnishes. 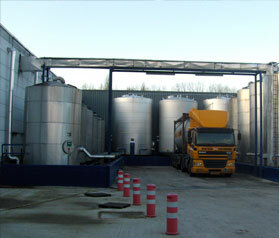 2007-2008: Extension of the warehouse finished goods, new place for waste containers and 3 new storage tanks for UV raw materials of 50.500 litres. 2010: Installation of third 10 tons mixing reactor for UV varnishes. 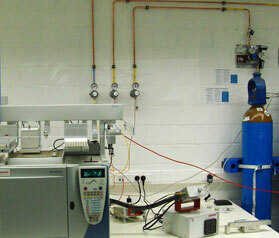 2011: Building and set-up of an analytical Lab (UPLC/MS/MS). 2013: On April 25th 2013 all shares of Arets Graphics NV were sold to Toyo Ink SC Holdings Ltd.
Toyo Ink Group is a giant in this sector. It has more than 7000 employees around the world, and reaches a turnover of around 1.9 billion Euro. With these figures, it is said to be the number three in the worldwide inks and coatings market. 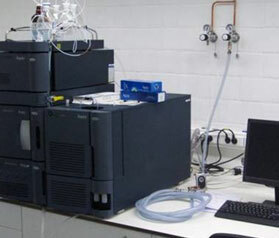 2014: Expansion of the analytical lab with a GC/MS with a sniff port. 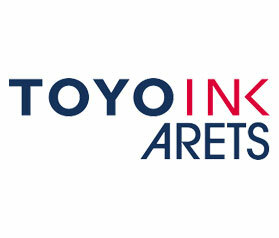 2015: Company name changed to TOYO INK ARETS. 2017: Company name changed to TOYO INK EUROPE. Today TOYO INK EUROPE is an important player in the radiation curing market and is continuously investing in new technologies. TOYO INK Europe engages to establish the best possible social and environmental standards. We undertake to act in the spirit of the Global Responsible Care Initiative and continuously strive towards improvement, based on our own responsibility, the protection of health and the environment as well as the safety of employees and fellow citizens. TOYO INK Europe, being a member of EuPIA, has committed to the following principles in order to safeguard the protection of food consumer safety within the areas under its control. These commitments to be applied by each company in the way it decides appropriate, cover for all products manufactured or marketed for application to the non-food contact surface of food packaging materials and articles. The principle of placing consumer safety first. Compliance with relevant legislation currently in force and the resultant legal requirements in order to ensure a high level of consumer safety. The principles of transparency and information sharing to enable compliance within the packaging supply chain, whilst preserving appropriate commercial confidentiality and respecting competition law rules. The supply of products fit for the intended purpose as mutually defined between each company and its customers. The concept of risk and exposure assessment in accordance with internationally recognized scientific principles. The principles and implementation of Good Manufacturing Practices, including audit processes. The principle of continuous improvement in consumer safety, in the light of any new scientific findings. Following EuPIA crisis management procedures, or equivalents, in the event of an incident related to a food packaging ink. 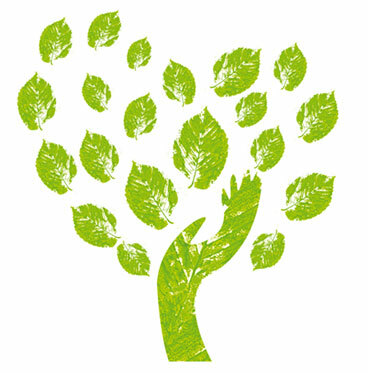 Favoring the use of renewable materials and the development of environmentally friendly packaging whilst continuing to meet our customer expectations and consumer preferences. Taking all necessary actions to prevent violations of our Occupational Health, Safety and the Environment Policy. Our UV inks and varnishes are free of harmful volatile organic compounds (VOC’s) and are cured using Ultra Violet light. TOYO INK Europe maximizes the use of renewable or recycled source materials wherever possible and reasonable. All our UV inks and varnishes are made from non-toxic, non-mutagenic, non-carcinogenic and non-reproductive toxic raw materials, which are safe in all probable end-of-life scenarios. UV inks and varnishes also consume less energy in the printing process, eliminating the need for traditional drying systems. Due to the fact that UV inks and varnishes do not dry without UV-light, they are 100% recyclable when they are wet and you do not need cleaning procedures (no need of VOC’s and no creation of waste). TOYO INK Europe invests in renewable raw materials as much as possible in the formulation of the UV inks and varnishes. The specially developed UV inks and varnishes of TOYO INK Europe also show very good de-inking characteristics, which is important for paper recycling. Therefore, carefully formulated UV inks and varnishes can be recycled when printed on substrates that can be recycled. TOYO INK Europe is committed to develop, continuously improve, produce and sell UV printing inks and varnishes with the lowest ecological impact for present and future generations.